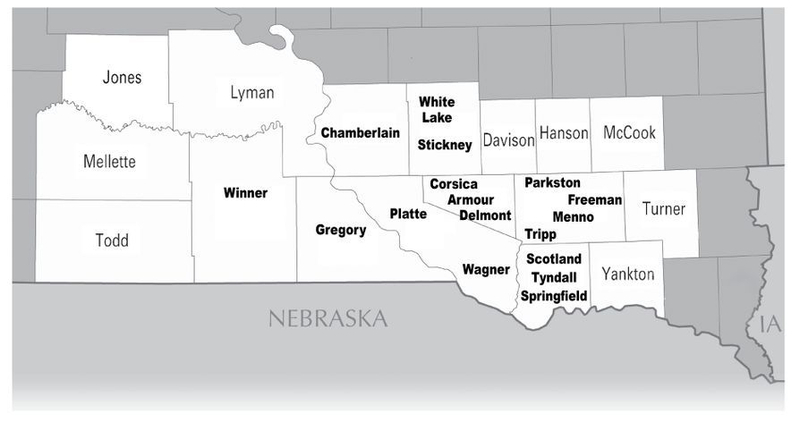 The Dakota Action Rocket is an advertising publication that is distributed as part of 17 weekly newspapers serving a 16-county area of southcentral South Dakota. The Rocket was established as a common supplement to the weekly newspapers in 1971 to provide extended coverage to advertisers in the region. Today the Dakota Action Rocket is the largest common supplement in South Dakota, reaching more than 50,000 readers. It is a particularly popular and effective publication in the agriculture community and for auctions of all types. It includes both display and word ads. A detailed map of the primary circulation area showing the towns with member newspapers is printed below. Placing an ad in the Dakota Action Rocket is as simple as contacting any of the participating newspapers listed below. All advertising rates are the same, regardless of where the ad is placed or which newspaper you work with. Receiving the Dakota Action Rocket is as simple as subscribing to one of the weekly newspapers that is a member of the Dakota Action Rocket.